In his capacity as UN Special Rapporteur on the right to food, Jean Ziegler produced many reports in which he explained the vulnerability of peasant farmers to hunger and malnutrition and the need to increase their protection in international law, including in his report on access to land, land reform and the right to food presented in 2002. Jean Ziegler also identified other vulnerable groups living in rural areas, including in his report on the right to food and fishing livelihoods presented in 2004. Since 2008, the successor of Jean Ziegler as UN Special Rapporteur on the right to food, Olivier De Schutter, put a similar emphasis on the need to protect the right to land and access to seeds of smallholder-farmers including in the responses to the 2008 food crisis. In their final Study on discrimination in the context of the right to food presented to the Human Rights Council in March 2010, Jean Ziegler and his colleagues of the Advisory Committee concluded that peasants were among the first victims of discrimination in the realization of the right to food. Hunger, like poverty, is still predominantly a rural problem, and among the rural population it is the peasant farmers, small landholders, landless workers, fisherfolk, hunters and gatherers who suffer disproportionately. The United Nations Millennium Development Project Task Force on Hunger has shown that 80 per cent of the world’s hungry live in rural areas. Some 50 per cent of the world’s hungry are smallholder farmers who depend mainly or partly on agriculture for their livelihoods, but lack sufficient access to productive resources such as land, water and seeds. Another 20 per cent of those suffering from hunger are landless families who survive as tenant farmers or poorly paid agricultural labourers, and often have to migrate from one insecure, informal job to another. Another 10 per cent of the world’s hungry live in rural communities from traditional fishing, hunting and herding activities. In preparation of the final study on discrimination in the context of the right to food, Jean Ziegler produced a background paper on “Peasant Farmers and the Right to Food: a History of Discrimination and Exploitation“. In this paper, Jean Ziegler described the different categories of farmers and the many forms of discrimination that they have suffered over the centuries. At the same time, civil society organizations and social movements have increasingly emphasized the need to protect the rights of peasants within the United Nations. After a consultation process that lasted seven years, La Vía Campesina – a social movement made up of more than 140 peasant organizations from nearly 70 different countries and representing more than 200 million peasants worldwide – adopted its Declaration of the Rights of Peasants – Men and Women at the International Conference on Peasants’ Rights in Jakarta in June 2008. The year after, representatives of La Vía Campesina were invited by the Human Rights Council and the UN General Assembly to provide their insights on the food crisis and the ways in which it might be remedied. On these occasions, they presented the Declaration on the Rights of Peasants as one of the solutions to the food crisis. In March 2010, in its resolution 13/4, the Human Rights Council acted upon the recommendation of the Advisory Committee and responded to the call of La Via Campesina by mandating the Advisory Committee to elaborate a study on ways and means to further advance the rights of peasants and other people working in rural areas. The Final study of the Advisory Committee on the advancement of the rights of peasants and other people working in rural areas was presented to the Human Rights Council in March 2012. In addition to English, the Final Study is also available in Arabic, Chinese, French, Russian and Spanish on this website. In its Final Study, the Advisory Committee identified the vulnerable groups working in rural areas that are subject to discrimination, including smallholder farmers, landless workers, fisher-folk, hunters and gatherers. 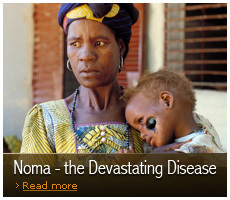 It then presented the main causes of their vulnerability, with a particular emphasis put on expropriation of land, forced evictions and displacement, gender discrimination, the absence of agrarian reform and rural development policies, the lack of minimum wage and social protection and the repression and criminalization of movements protecting the rights of people working in rural areas. 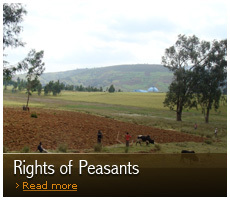 The Advisory Committee analyzed the existing protection of the rights of peasants in international human rights law and concluded that there is a need to strengthen the implementation of existing norms on the one hand and to elaborate a new UN Declaration on the rights of peasants and other people living in rural areas on the on the other. In the Annex to his Final study presented to the Human Rights Council in March 2012, the Advisory Committee presented its proposal for a Declaration on the rights of peasants and other people working in rural areas to enable the Human Rights Council to have a basis for future negotiations. The Advisory Committee is convinced that the best way to further advance the protection of the rights of peasants and other people working in rural areas is to adopt a new instrument – initially, a declaration – to better promote and protect these rights. In the annex to the present study, it therefore proposes a declaration on the rights of peasants and other People Working in Rural Areas. The Declaration adopted by the Advisory Committee could serve as a model for a new instrument to be developed by the Human Rights Council. Its structure follows that of the United Nations Declaration on the Rights of Indigenous Peoples. 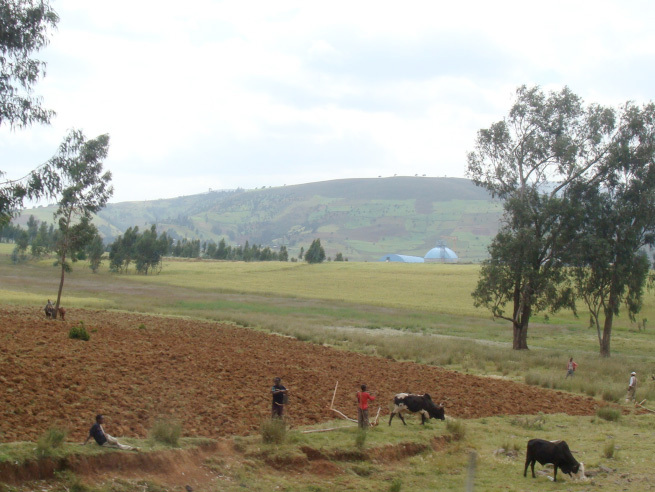 In article 1, it gives a definition of a peasant and other people working in rural areas, which includes small-scale farmers, landless peasants and non-agricultural households in rural areas, whose members are engaged in fishing, making crafts for the local market or providing services, and other rural households of pastoralists, nomads, peasants practising shifting cultivation, hunters and gatherers, and people with similar livelihoods. It reaffirms their rights to life and to an adequate standard of living (art. 3); their right to freedoms of association, opinion and expression (art. 12) and their right to have access to justice (art. 13). In addition, it recognizes new rights that could reinforce their protection against discrimination. These include the right to land and territory (art. 4); the right to seeds and traditional agricultural knowledge and practice (art. 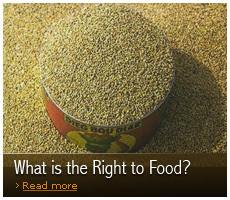 5); the right to means of agricultural production (art. 6); the right to information and agricultural technology (art. 7); the freedom to determine prices and markets for agricultural production (art. 8); the right to the protection of local agricultural values (art. 9); the right to biological diversity (art. 10); and the right to preserve the environment (art. 11). - Final Study on the advancement of the rights of peasants and other people working in rural areas, A/HRC/AC/8/6, para. 72. On 27 September 2012, the Human Rights Council adopted a resolution on the promotion and protection of the human rights of peasants and other people working in rural areas. In this resolution it decided to create a Working Group to negotiate, finalize and present to the Human Rights Council a draft UN Declaration on the Rights of peasants and other people working in rural areas, on the basis of the Declaration proposed by the Advisory Committee in its Final study presented in March 2012. The adoption of this resolution promoted by Bolivia, South Africa, Equator, Venezuela and Cuba, with support from many representatives of civil society and social movements, and in particular La Via Campesina, FIAN International and CETIM, represents a major step towards the adoption of a new UN Declaration on the rights of peasants and other people working in rural areas. The first session of the Working Group took place in July 2013 and the Human Rights Council renewed its mandate in June 2014 trough a resolution adopted by a large majority of member states.